Original in all its parts, the “Cobbett” is an outstanding example of the maker’s early work. It is a misconception by some that Stradivari’s early instruments are often not of soloistic calibre—a view debunked by the “Cobbett’s” superb tonal qualities. This exquisite violin takes its name from Walter Wilson Cobbett, the English amateur violinist and writer well known for his work, Cobbett’s Cyclopedic Survey of Chamber Music, originally published in two volumes by the Oxford University Press in 1929. Another prominent owner during the early part of the 20th century was Helen Teschner of New York. She was a child prodigy who studied with Carl Flesch and Willy Hess. Teschner made her debut with the Berlin Philharmonic and was a favorite of conductor Willem Mengelberg. 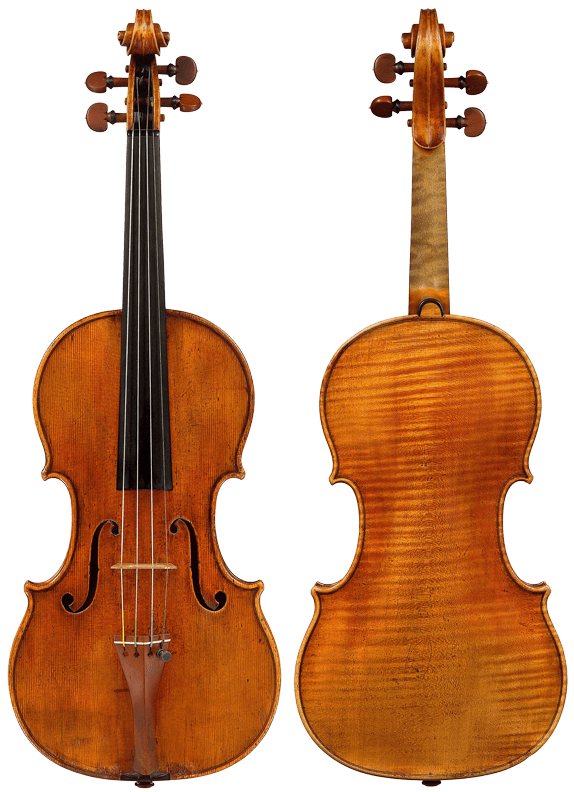 During the period in which the “Cobbett” was made, Stradivari developed an original model which owed relatively little to Amati in form or dimensions. The “Cobbett” is made on a grand pattern with measurements that are very similar to large form instruments made during the maker’s golden period (generally thought of as the years after 1700). The violin is illustrated in Herbert Goodkind’s Violin Iconography of Antonio Stradivari and also in Bein & Fushi’s updated and revised edition of How Many Strads? Our Heritage from the Master by Ernest Doring. The material for the back and ribs is from a lively figured quarter-cut maple log used quite often by the maker during the period. The “Cobbett” is covered with a lustrous golden varnish of incomparable quality. The tone is vibrant and silky with tremendous carrying power.